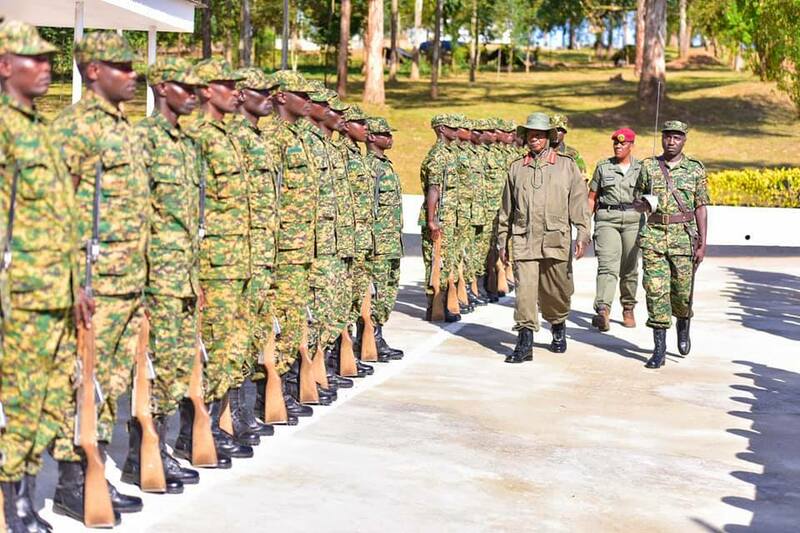 MBARARA – President Yoweri Museveni has boasted of living a disciplined lifestyle ever since he came to power 33 years ago, cautioning the UPDF soldiers for whom he is commander-in-chief, to live a disciplined lifestyle. Mr. Museveni made the revelation on Saturday, April 6 as he visited Uganda People’s Defence Forces (UPDF) division headquarters in Mbarara. He cautioned the soldiers against engaging in reckless lifestyles of promiscuity and alcoholism among many others. While interfacing with the officers, the President revealed that ever since he came to power in 1986, he has never fallen sick or hear he is admitted in hospital because he takes his life seriously. “Don’t put your lives at risk by going with several women because, in the end, you will get sick,” Mr. Museveni warned. He commended the officers and men for the good work they are doing of protecting Ugandans with their property saying Uganda now is very peaceful. 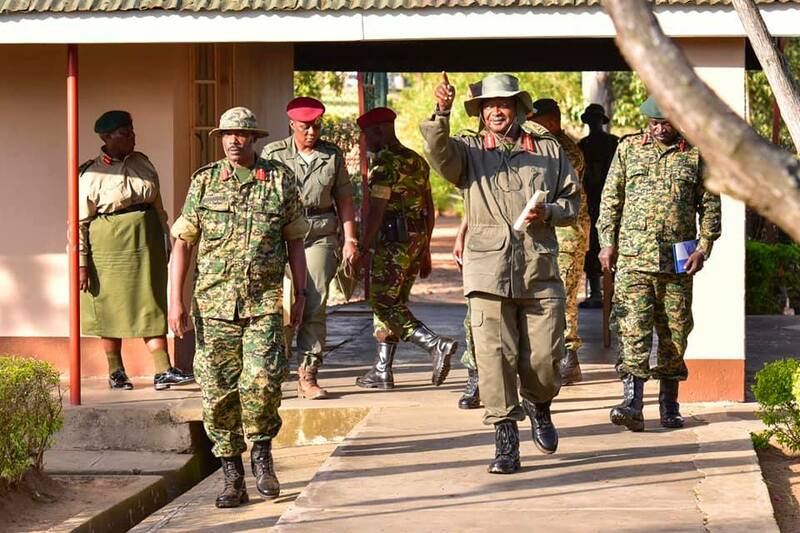 On soldiers remunerations, Mr. Museveni said since 1986, the GDP was very low and the Revenue collections vis-a-vis the needs of the country have been many but over time, the revenue collections have been going up and so has also been the salaries of all public servants. He promised to continue fighting hard to increase it slowly by slowly. He also revealed plans by government to construct standard houses for soldiers and ease the problem of accommodation in the barracks of both Police and the Army. On housing, offices, schools and roads will all be worked on by this major programme which is yet to be rolled out soon. Under this arrangement, he said, everybody with a primary and a secondary school for soldiers children. He went ahead to hint on the starting of an army University which will offer courses like Medicine, Engineering, Accounts, Political science among many others. He pledged UGX100m towards soldiers wives SACCOs, saying as soldiers are engaged with the task of protecting Ugandans their wives can also be engaged in small income-generating activities to supplement on what their husbands are getting for their development as a family. He was happy to note that Soldiers wives in 2nd Division were already running some projects such as piggery and mushroom production and many others which was good. Other include Maj Gen Dr Ambrose Musinguzi Updf chief of medical services Maj Gen Timothy Sabiti commander Engineers brigade, Brig Richard Karemire the Defence spokesperson and the chief political commissar Brig Henry Matsiko.